This is the GIANT Halfway. It’s a folding bike that was interesting in its production because both wheels had stub axles, if you look closely you’ll notice that there is only one side to the fork and only half a rear triangle. This made installing a hub motor impossible so we put on one of the new SOLAR BIKE mid-drive kits. These new motors are smaller than all of the other ones and they come with torque sensing. 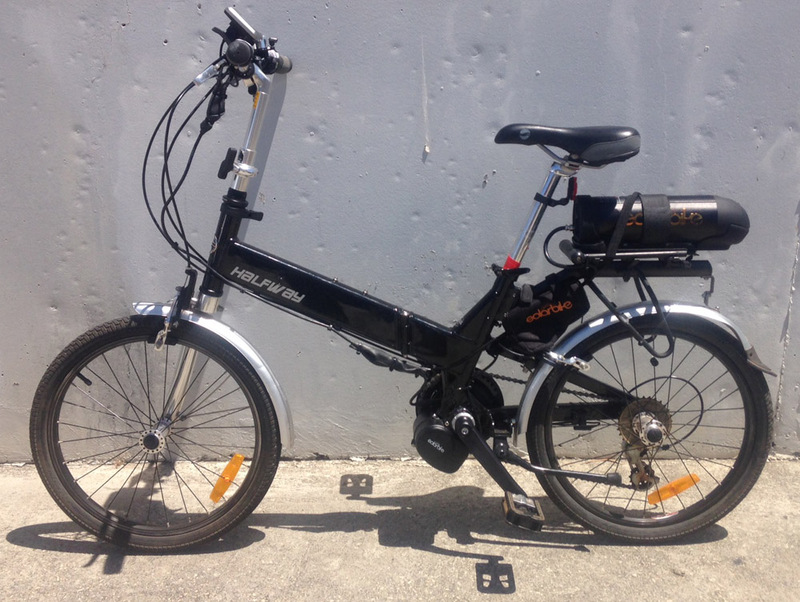 It came together beautifully and performance of the bike was only changed by having lovely and smooth electric assistance coming from the cranks. Another nice custom conversion!